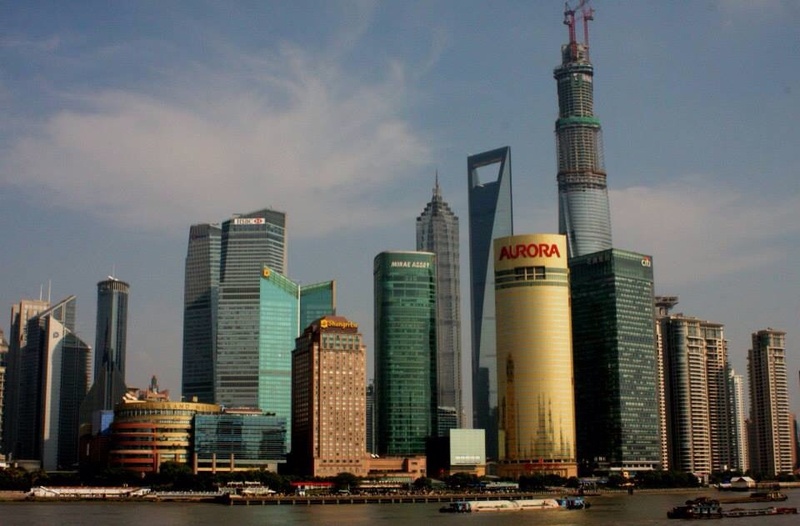 Our very own Yoav Goldwein ventured to China as a part of the Victorian Government's Trade Mission with the Urban Design Delegation in October 2013. Here are some of his thoughts and urban planning insights on this fascinating country that is full of contradictions and a whole lot of people! Of the 30 million people in the Beijing mega-metropolis, it seems that at least one million are with me in the train station at the moment. The station is huge and brand new, with fancy stores, flashy ads, an enormous selection of fast food options and not a single sitting spot vacant. There are people everywhere; some playing with their smartphone and others lying on their big rice sac. Amusingly, some are doing both. And I'm among them, sitting on the floor next to the Starbucks, waiting for my train that will leave in 3 hours and trying to grasp the scale of the Chinese phenomenon. When cities are home to millions of people and rapidly continue to grow, the pressure on the urban infrastructure is incredible. Beijing has a branched road system, a growing subway network, fast trains, buses, taxis and rickshaws – and they are all full. No matter how fast this city grows, it seems it can never keep up. The pace in which housing construction unfolds is also incredible. Rows and columns of high-rise residential buildings, dusty and colourless, are going up in just weeks. Everything seems like it’s being built in a rush and then left to decay. When thousands of people move to the city everyday, there is no time to stop and observe, or put in resources to maintain what's already been built. There's no time for details, a human touch, or for a smile - China, unlike me, is on the super-fast train, destination unknown. In the last 20 years, a quarter of China's population has moved to the cities; from 26% in 1990 to more than 50% today. This growth isn’t limited to Beijing and Shanghai. The Chinese government is on a mission to spread the growth to the rest of the east coast; moving the masses from the rural areas in the mainland to a more modernised and sustainable way of living that’s comfortable and easier to control. It's a big challenge managing more than a billion men and women, and there is probably no better way than to place them in well-planned cities, well-connected and geographically concentrated along one strip of land. The system is being built not only to govern the enormous amount of people, but also to save China from the demographic roller coaster it's in, as in the villages the rules of the communist party are less likely to be enforced. However, as I mentioned before, there’s a big difference between Shanghai and Beijing, China's main financial engines and the rest of the urban fabric. In these main cities the demand for housing and commercial use is increasing. Old deteriorating buildings are being replaced with high-rise buildings and skyscrapers, thickening the existing structure. The endless amount of resources and money attract talent such as creative architects from all over the world, who want to make it professionally in this land of opportunity. In the meantime, the infrastructure is struggling to keep up with development, and planners are dealing with problem solving and upgrading. The result is an organic development of the worlds biggest metropolis; a vibrant and busy city that everybody wants to contribute to. When we venture out of the cities, where the Chinese government is developing the east coast urban strip, we see a completely different story. But in the metropolis this top-down design process creates an urban grey structure of concrete that rises at a ridiculous pace and forms the cities of the future; fast and soulless design of more and more housing, 30-40 stories high, with unified facades and big green space in between. But not everything is going according to plan. While in the main cities the demand is keeping up with the development, in others, it's far behind. The result is ghost cities, waiting for their inhabitants to arrive. So at the moment China is on a mission and it has almost endless resources to execute it. Funding is not a problem, nor are materials. Cheap labor is available anytime and legal employment of more and more people contributes to the GDP and China's rapid growth. 1. The building industry is expected to bring about a recession at some point. When this occurs it will release a mass of uneducated unemployed into the market. 2. A similar problem will occur when big corporations pull out their production lines from China due to the continuous rise in salaries and the cost of materials. 3. The single child policy is creating a future economic problem in which a relatively small work force will soon need to support ageing "baby boomers". Will the Chinese concrete jungle be able to support its inhabitants after the current renaissance? Or is China just creating the slums of the future? It seems that this Big Brother is dealing with the problems of today without considering the issues of tomorrow. But isn’t that how we all work anyway? Older PostWhat is Liveable? For Whom?